A high-stakes game against a fellow Western Conference playoff contender, in front of a raucous Saturday night crowd at Chesapeake Energy Arena? 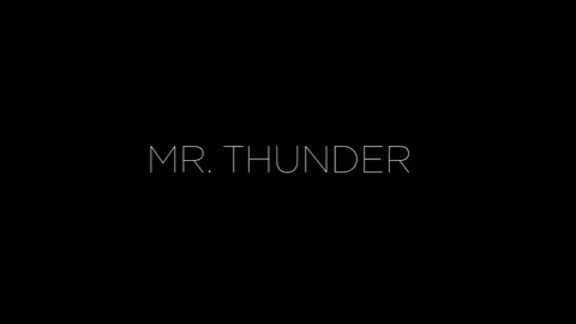 That was the recipe for one of the liveliest, most urgent Thunder performances of the season. The Thunder battled with the San Antonio Spurs all evening, pushing out ahead with runs and each time denying Spurs advances, including a late charge with some fresh players that cut a 21-point lead down to just 7 with 2:06 to go. Behind two free throws from Corey Brewer (12 points) and a block from Paul George, the Thunder stopped momentum. Then Russell Westbrook’s 10th assist to cap a triple-double came on a pass to Jerami Grant for a corner three, giving the Thunder plenty of separation to seal a 104-94 victory. 98 career triple-doubles. 19 this season. There were plenty of key stretches in this one for the Thunder: a 6-0 burst late in the first quarter, a 17-6 stretch by the scrappy bench unit in the second quarter, followed by a four-point possession to end the first half. But truly, two other sequences defined this game, and both featured players from the second unit, as the Thunder reserves racked up 50 points. “We need to have the stamina to keep saying that if we keep playing like that and we keep generating good shots, over the long haul that’s going to be the best way for us to play,” Donovan continued. 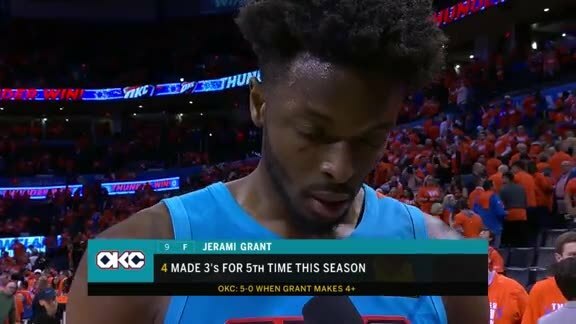 The first came in the first half, when Raymond Felton got the defense moving by rushing into a screening action, then dumped the ball into Jerami Grant in the post. The Thunder backup center accepted a double team and zipped the ball back out to the perimeter. Two quick passes and a missed corner 3-pointer later, the ball caromed back into Grant’s hands, with an advantage on the weakside. He slipped between two defenders, muscled up a layup and got it to go, plus a foul. The second crucial stretch came early in the fourth quarter, with Steven Adams out with a sprained ankle and the Thunder needing to keep the Spurs at bay for as long as possible. Donovan inserted Nick Collison into the game, and the longtime Thunder veteran delivered with seven points during a 16-4 flurry to start the period. “I just try to do my work and on practice days stay ready and know when I get in there I’m at least going to know how to play,” Collison deflected. With Russell Westbrook set to check in at the scorer’s table, Collison caught the ball in the lane, pump faked to get Pau Gasol flying past him and then dribbled once to the rim for an easy layup. 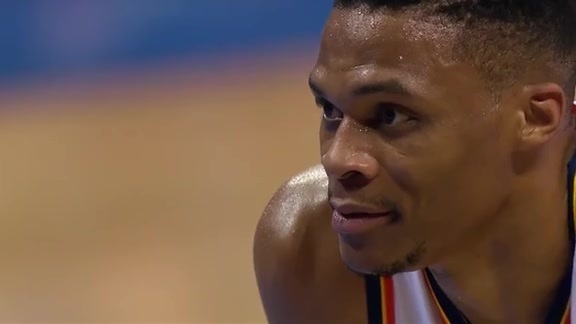 On the other end the Thunder forced a miss and guard Alex Abrines pulled down a challenged rebound, causing Westbrook to pump his fist in the air and scream at the top of his lungs to encourage his guys. This game was a defensive battle to start, with just seven total points scored in the first four minutes of action. A trio of three pointers – by Brewer, then Spurs guard Patty Mills and another by George got both team’s offensive engines revved up, but the Thunder defense was the more consistent unit during the night in two crucial areas. Oklahoma City dominated the offensive glass, outscoring the Spurs 21-7 in second-chance points, while also winning the battle at the free throw line. The Spurs came into the game fouling the fewest times per game and allowing the fewest free throw attempts in the NBA, but tonight the Thunder flipped the script, fouling nine fewer times and racking up 17 more free throw attempts in the game. Defending without fouling, in addition to playing with force on offense with its movement, screening and driving was the key to dominating one of the most essential aspects of the game. 98 – Career triple-doubles for Russell Westbrook as he racked up 21 points, 12 rebounds and 10 assists.